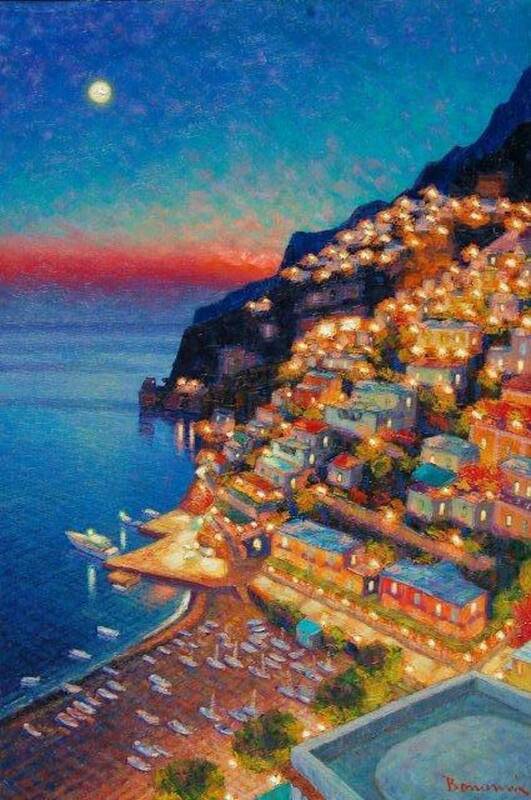 Born in 1960 in Tivoli, Claudio Bonanni lives and works in Udine. 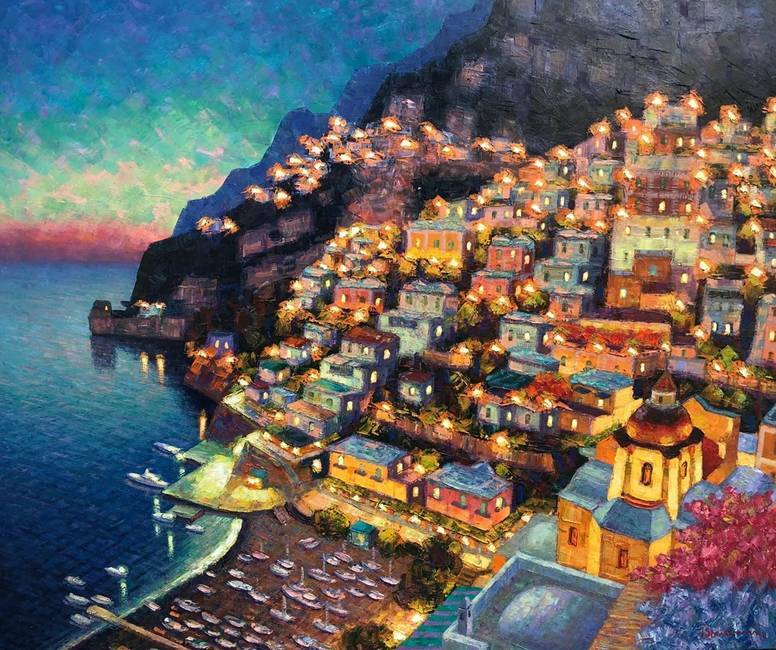 After having graduated from Rome's Academy of Fine Arts in 1986, Claudio Bonanni moved to Paris to study under the great masters Pio Santini, Ernest Kronberg, and Lauri Leppanen. 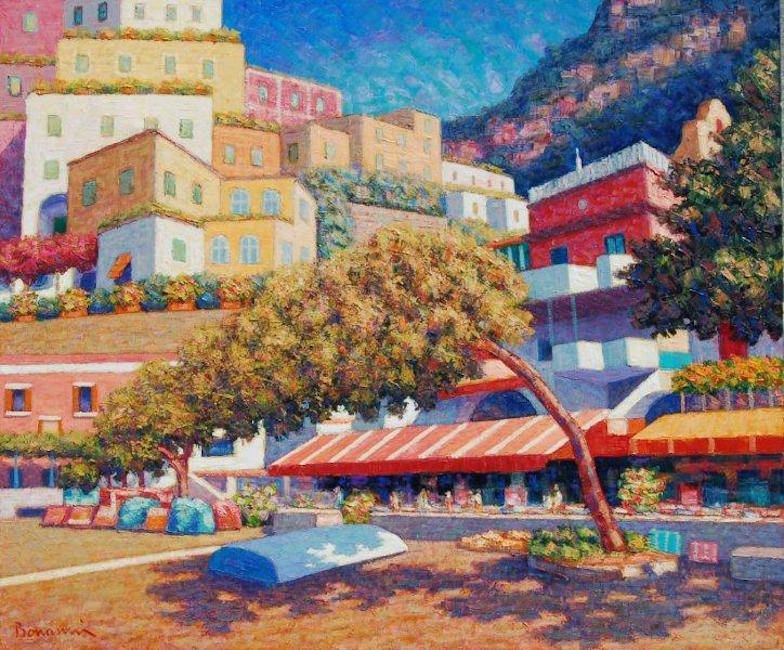 During his time in France's capital city, he was drawn to study the Impressionists, primarily Pissarro. 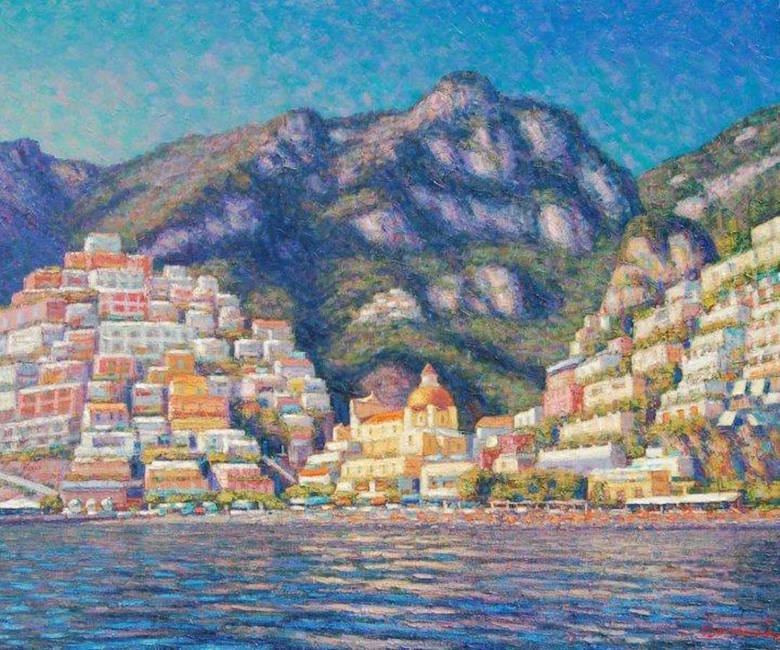 Bonanni moved to Udine in 1989, and there met the great master Fred Pittino, whom he would visit regularly in his studio. 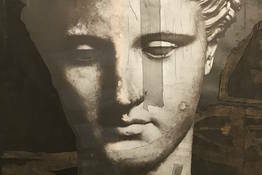 In the following years, he developed relationships with important masters including Ottavio Mazzonis in Torino, Franco Polizza in Rome, and Ugo Guidi in Bologna. 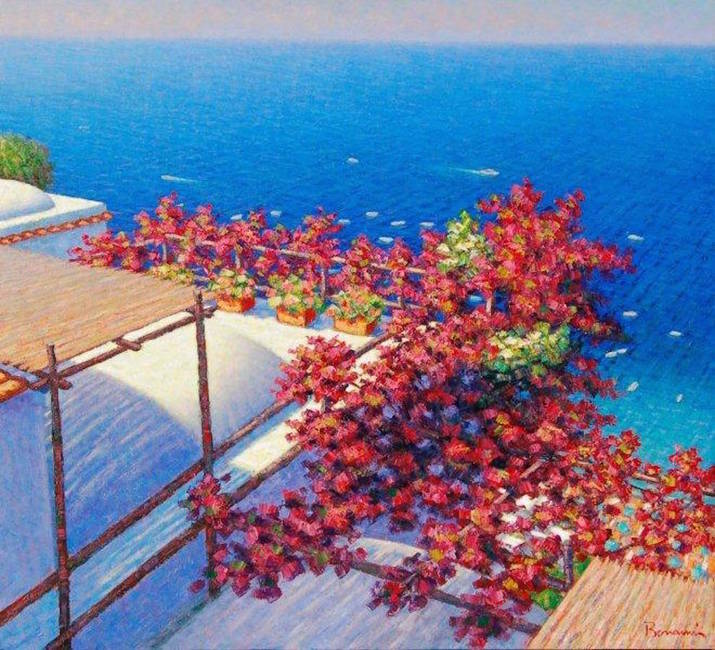 Bonanni developed a passion for Mediterranean landscapes and their seasonal changes during a trip to Friuli, and these themes dominate his subject matter. 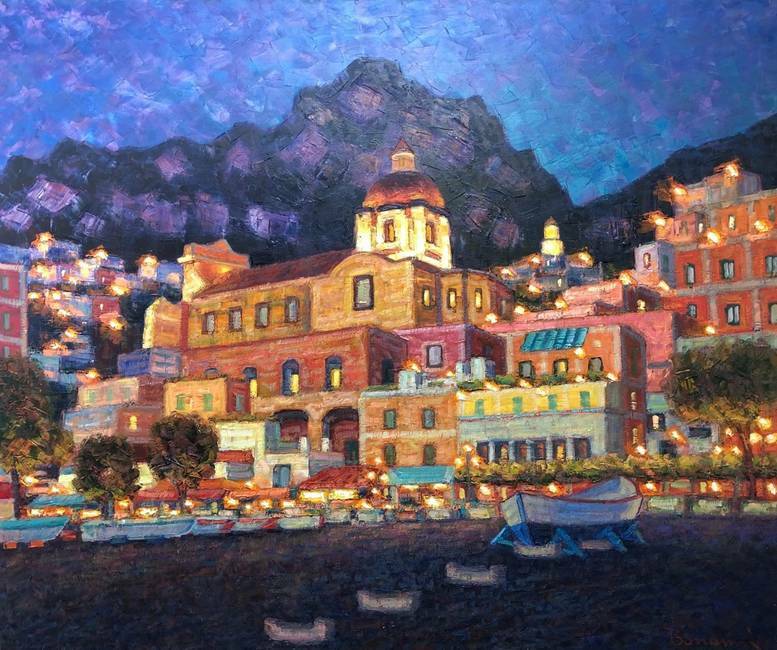 Over the years, he has also depicted seascapes and created portraits. 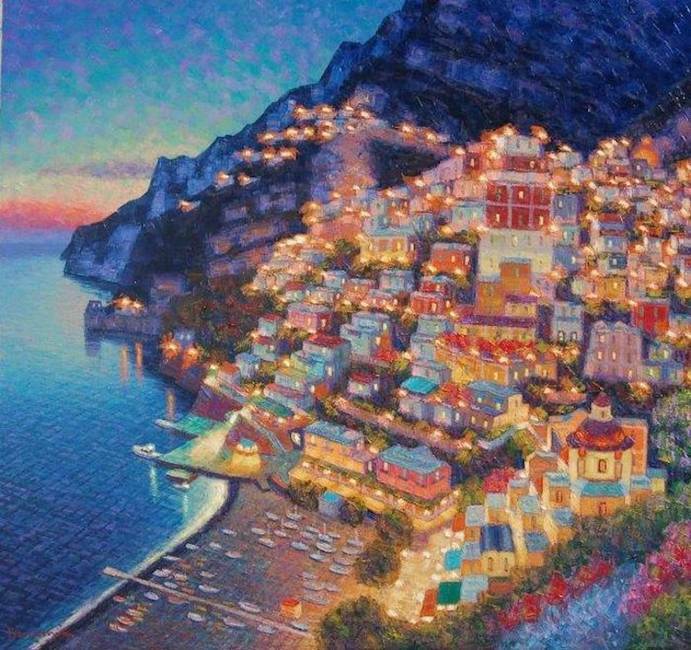 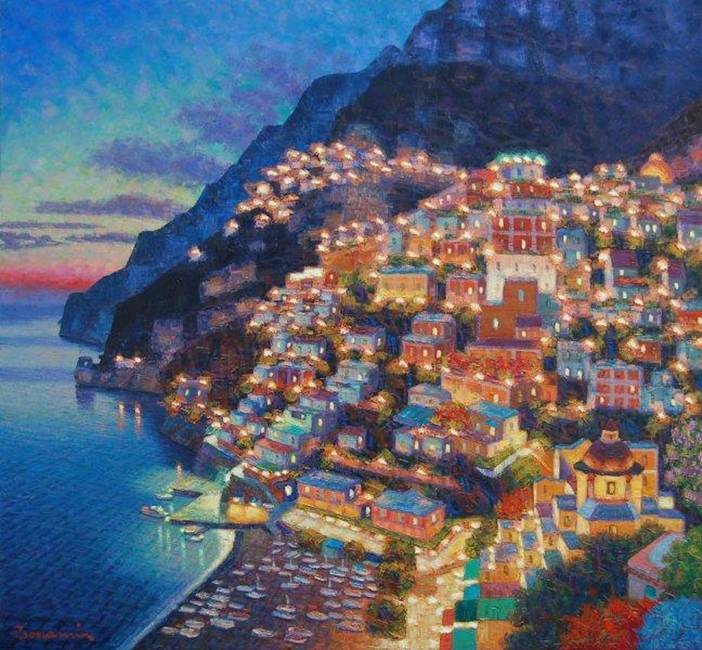 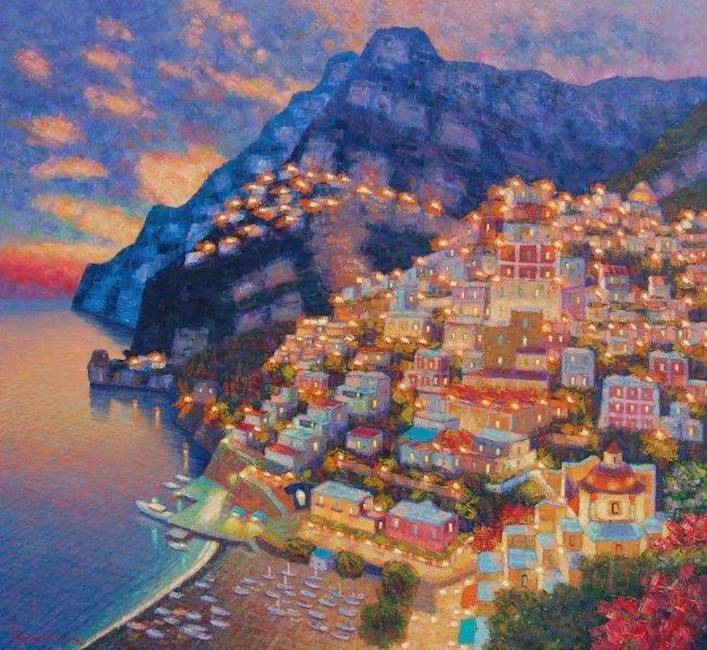 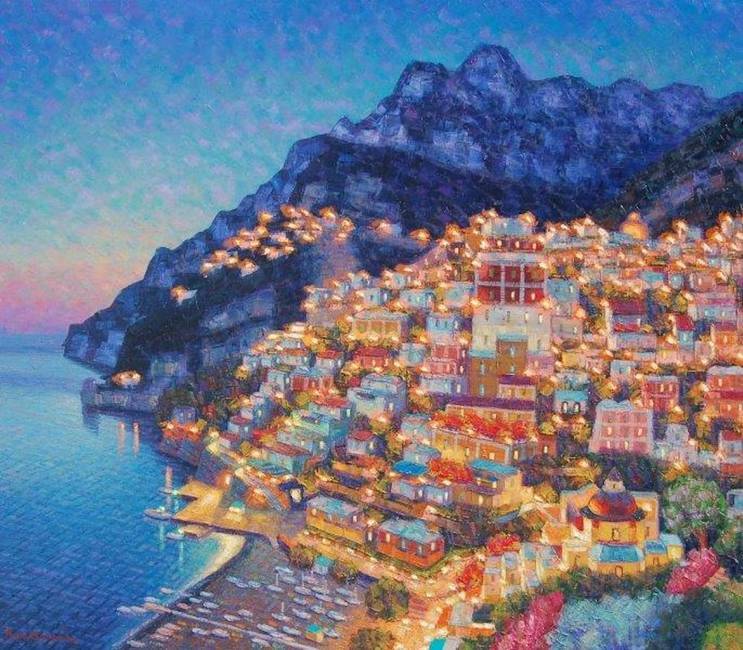 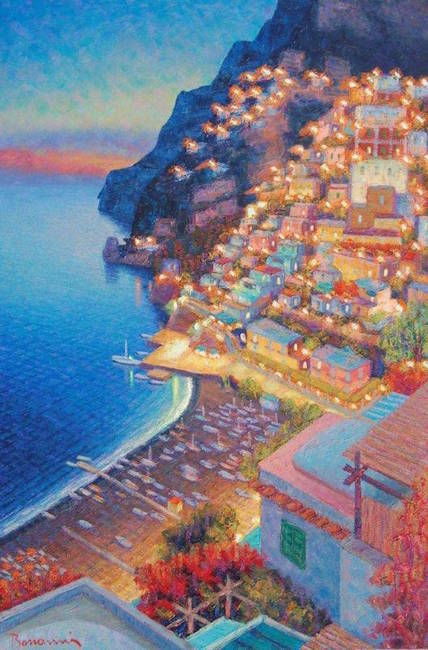 His Mediterranean scenes are poetically rendered with exacting detail and expression through the use of a vibrant color palette and varied textures, and his breathtaking scenes of Capri, Positano, and the Amalfi Coast are unique for their enchanting sense of harmony. 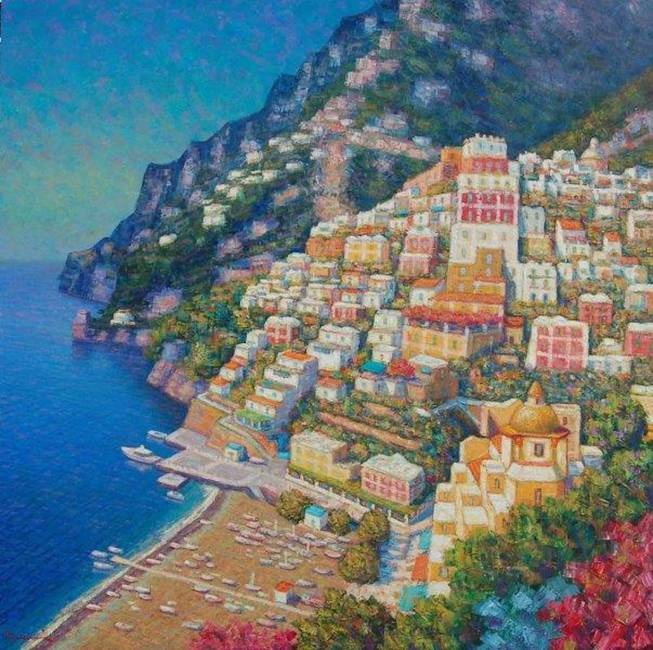 Bonanni has participated in a number of collective and solo art exhibitions, including Villa d' Este (Tivoli), Roman Gallery, Ancient Arsenals (Amalfi), Mauterndorf Castle (Austria), Graf Bobby Salon in Vienna, Italian Pavillon (Tokyo), the Sappada Municipal Gallery, theTrieste Municipal Gallery, the old Church S. Michele Arcangelo (Tivoli) , The Atene Culture Institute, Gallery " La Fenice " (Udine), and the Municipal Gallery " Le Logge " (Assisi). 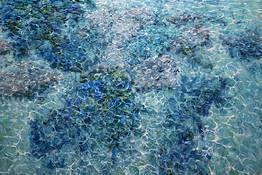 All have been a critical and public success.